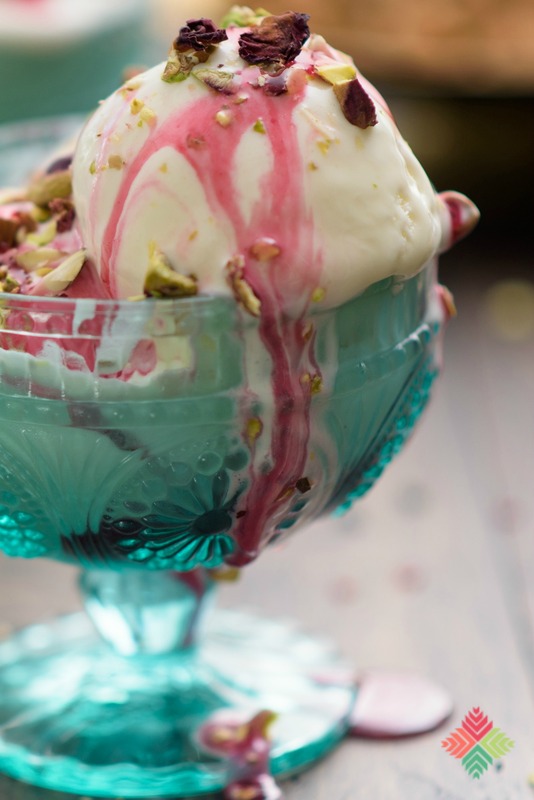 This is my take on a classic strawberry sundae with some decidedly Indian touches. 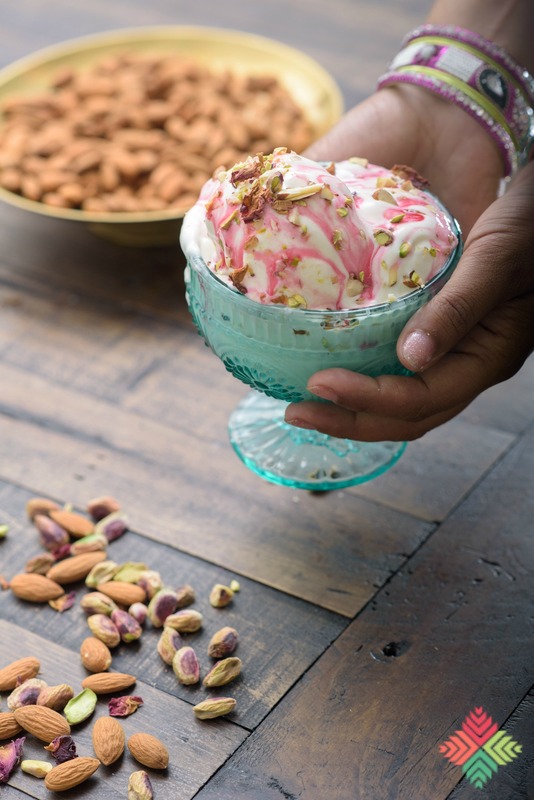 Choose a rich, creamy ice cream (make it at home if you want something really special), lay out some toppings and a bottle of Rooh Afza for your guests, and let them go to town! Bonus: mom doesn’t actually have to make the dessert and can put her feet up for just a few minutes. My ever growing collection of mix and match brass bowls (including some from my grandmother’s trousseau) are filled with topping options. If you have kids at your Eid dinner you could even include mithi saunf/candied fennel for fun. Pin the post for later…. 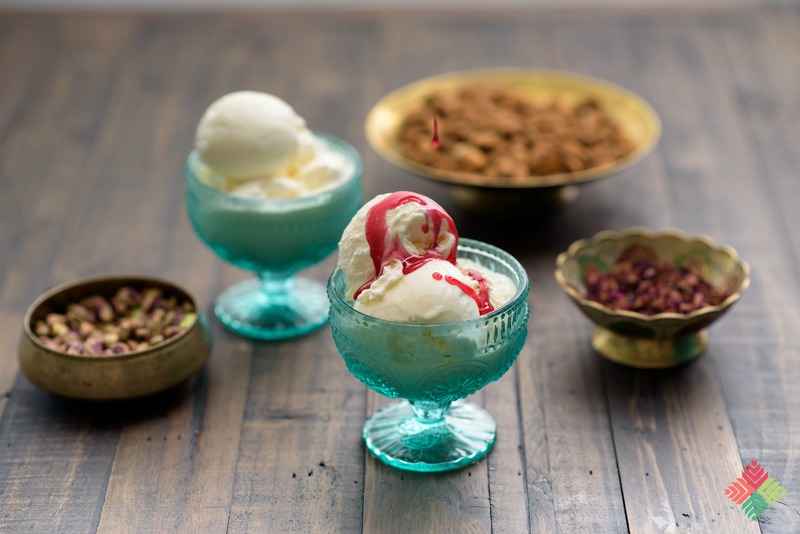 I hope you enjoyed this idea for an easy and delicious dessert idea, and I wish a very happy and blessed Eid to all my readers that are celebrating – Eid Mubarak! thanks again Raj for joining us this year. both the idea of this dessert and the photography are absolutely amazing! Such gorgeous pics of a yummy dessert! 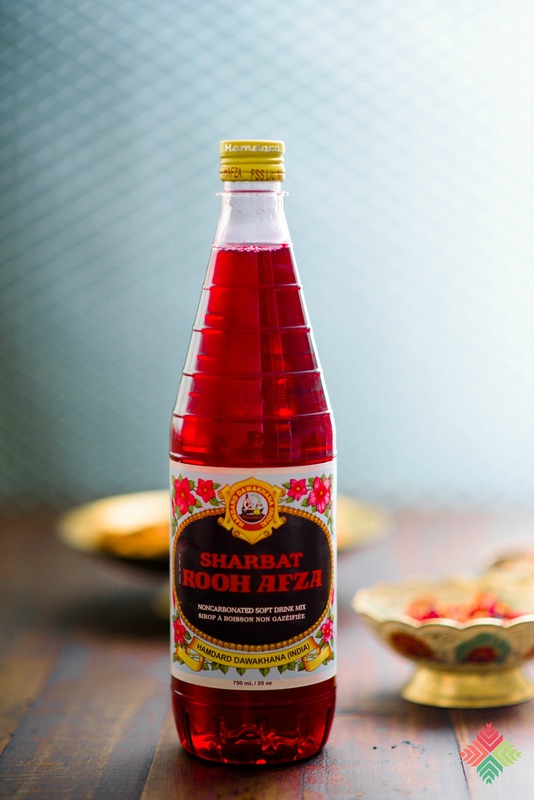 I love rooh afza! What a great idea to make a sundae. Lovely. Raj, you are the rajkumari of fusion desserts hehe! 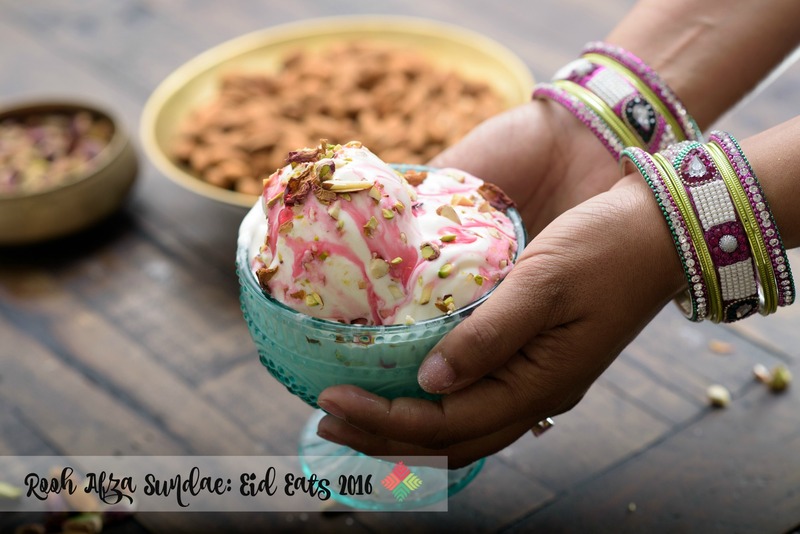 Love this east-meets-west sundae, and thank you for participating in EidEats2016! Also, I apologize for my late comment. My brother is getting married in mid August, and I left for California (my parents home is located there) soon after Eid. 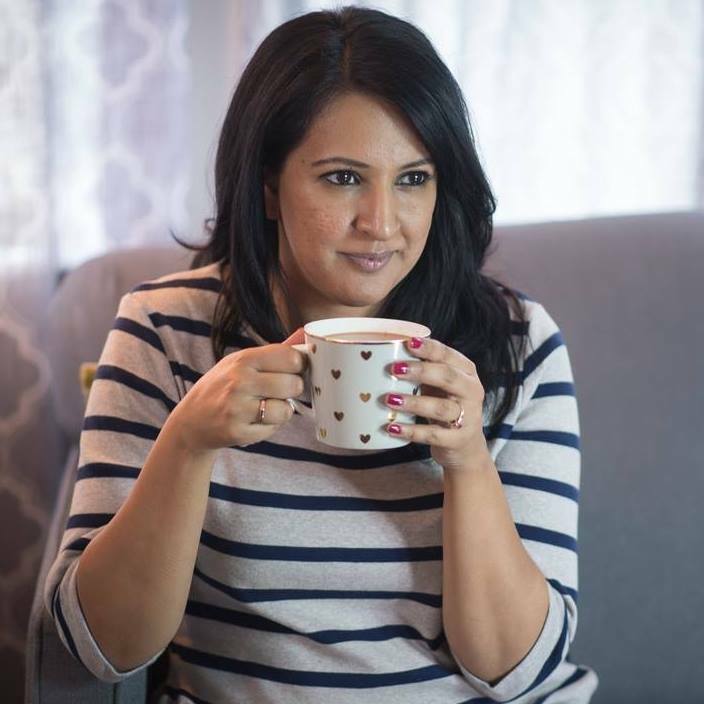 I’ve been so busy with shaadi-prep that just now I’m getting a chance to sit down and check out the rest of the EidEats participants posts!